HomeWindows 10 TricksHow to Block Windows 10 Spying and protect your privacy. How to Block Windows 10 Spying and protect your privacy. Are you looking for how to block windows 10 spying in your computer or laptop? Let see How to Block Windows 10 Spying? try with below trips and tricks. it will help you to block windows 10 spying and protect your data. 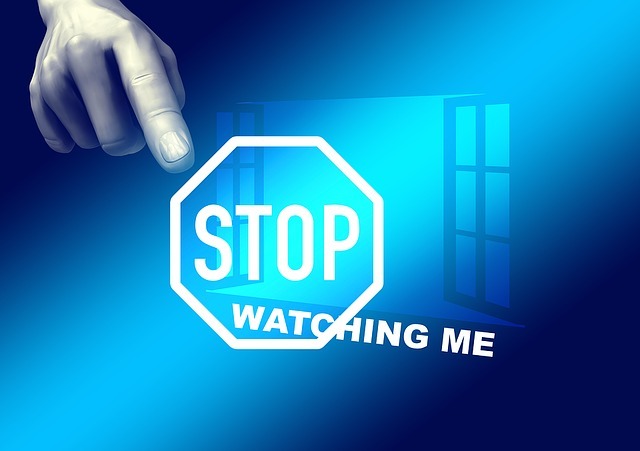 Block windows 10 from spying is a common topic for all internet users. As usually Microsoft used Windows 10 OS to collect of users’ information as well as the other usage data. That can be issue for user’s privacy as well as limited their internet bandwidth and slowdown user’s internet speed. To prevent that windows spying issue you have to Block that windows 10 spying URLs. It can be garneted your privacy by protecting your private information and prevent the Abnormally high internet bandwidth usage. For that you just need to go into: Web Protection -> Web Filtering -> Policies -> Default content filter action. Under Websites -> Block Theses Websites, import this list (copy & paste) For that you can use your virus guard. By using internet protected function in your virus guard you can block below URLs. The one & only thing for which Windows 10 is being criticized a lot is its attempt for privacy invasion of users like us. With its default enabled tracking features, that has stretched the limits to which an operating system can go in spying users. Windows 10 is seeking data out of users to giving more personalized experience for their users. One option is to not upgrade to Windows 10, which is not really an option. Microsoft will eventually end support for Windows 7 and 8 in the next 5-7 years. In recent news confirms that Windows 10 is forcefully pushing updates to Windows 7 as well as Windows 8 users by secretly downloading updates for the upgrade. If you wish or not, eventually you will have to be a part of Microsoft data Logging system when you choosing windows 10. If you have to be a rebel then, choose Linux. Since windows 7 to 10, by default, reserves 20% of the internet bandwidth for the system applications and their operating system, you cannot browse or surf on the internet with 100% internet speed connection. But with this solution speeds up the dropping internet speed by trimming down the bandwidth which is reserved for Windows 10 AU and system applications. Bandwidth term is used for the range covered for data transmission between an upper range and lower range, which is controlled by Internet Service Provider (ISP). However, Windows OS provide certain configuration to limit reservable bandwidth limit. Windows 10 OS, by default, keeps some amount of bandwidth for Windows application and operation requirements. You can limit the receivables bandwidth from the Group Policy editor. 2. Then type in Gpedit.msc (make sure you are logged in with an Administrative account) -->> Press OK to give permissions. 3. Then, a pop-up window will open with the title of Group Policy. 4. Click on Computer Configuration on the right side of the window. 7. Change the mode to Enabled and reduce the Bandwidth limit value from 20 to 0. 8. Apply and then click OK. BITs, that are Transfers files in the background using idle network bandwidth. If the service is disabled, then any windows applications that depend on BITS, such as Windows Update or MSN Explorer, will be unable to automatically download programs and other information. 2. Right-click on BITS and click on “Open Services” -> select “Background Intelligent Transfer Service”. Then I think the above article will help you to block windows 10 spying. Thank you for reading - How to Block Windows 10 Spying?